Alphabet's (GOOGL - Get Report) (GOOG - Get Report) Waymo is widely considered the leader in the autonomous driving industry. Coupled with the fact that it has one of the world's largest companies as its backer, it may surprise investors to hear reports that it's considering outside investors for its self-driving unit. Those reports become even more surprising when considering the financial strength of a company like Alphabet. It's got one of the market's strongest balance sheets -- with $109 billion in cash and short-term investments vs. less than $4 billion in long-term debt; and with annual free cash flow in excess of $20 billion. To say Alphabet can "afford" Waymo is an understatement. So why does the company reportedly want investors? We've seen SoftBank (SFTBY and Honda (HMC - Get Report) plow funds into General Motors' (GM - Get Report) Cruise subsidiary. After buying the company for a reported $1 billion in August 2016, Cruise now has a valuation of $14.6 billion in under three years. Ford's (F - Get Report) Argo unit, which just received a $1.7 billion investment from Volkswagen (VLKAY (VLKAF at a $4 billion valuation, was first purchased for $1 billion in August in 2017. In other words, it could be Waymo's chance to strike while the iron is hot. Given that it already has its self-driving taxi service up and running in Arizona, is considered the leader of the driverless movement and is beginning to sell its sensors to other companies, now would be a great time to raise money at as high of a valuation as possible. Further, Waymo can, but doesn't have to raise capital. Considering these factors, Waymo/GOOGL has the leverage, not the outside parties. Waymo's advances work both for and against prospective investors. It's attractive to see Waymo have such a strong lead, but at the same time, this should command the highest premium in terms of valuation. Alphabet CFO Ruth Porat is as good as they come, so one would expect any potential deal to be well constructed. Waymo costs Alphabet a reported $1 billion annually, and possibly more now as the fleet is growing. Bringing in outside investors without giving up too much equity obviously makes sense here, from a strategic standpoint. Who could be potential outside investors? Volkswagen was mentioned in a report, but given that the company just invested in Ford's Argo, that would seemingly take both of them out of the picture. Daimler (DDAIF is working with Nvidia (NVDA - Get Report) , so it's seemingly out of the picture, while GM has its Cruise unit. SoftBank certainly comes to mind, given that it has invested in all sorts of ride-sharing and autonomous driving companies all over the world. Looking to some of the automakers that Waymo uses for its vehicles, Jaguar could also make sense, but it's unclear if Tata Motors (TTM , the parent company, could swing a deal that will undoubtedly cost plenty. Then there's Fiat Chrysler (FCAU - Get Report) . 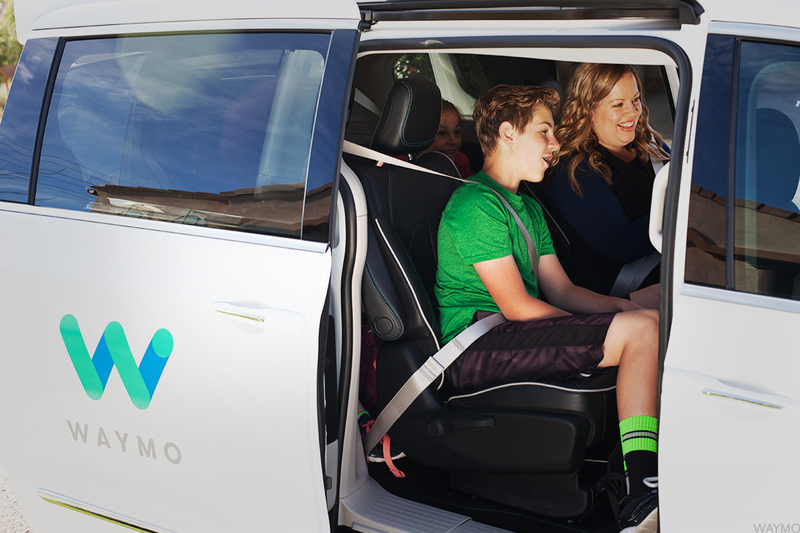 Its Chrysler minivan is used for a majority of Waymo's current fleet and an investment from the former into the latter could certainly make sense for both parties, particularly given that Fiat could financially swing such a deal. Plus with its European base (with Fiat), it could help Waymo with its expansion plans into Europe. While this certainly makes sense, it of course doesn't rule out a deal with companies like Volkswagen or BMW (BMWYY . It also doesn't cut out Asian automakers like Toyota (TM - Get Report) or Nissan-Mitsubishi-Renault (NSANY , the latter of which was already speculated to be in discussions with Waymo. Ultimately, though, it will come down to price and whether anyone wants to invest at what will undoubtedly be a high premium for Waymo.